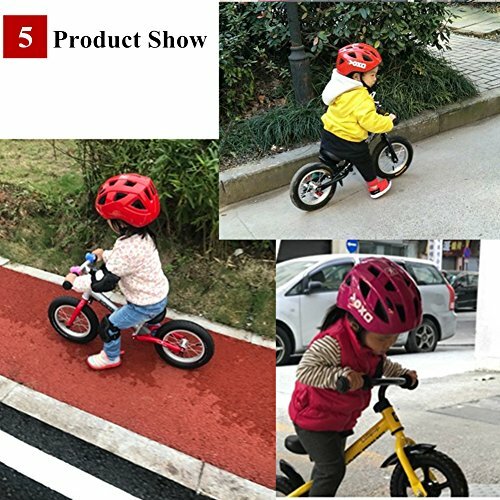 Our products are specially designed for Multi-sports activities,such as skateboarding,cycling, BMX biking, inline & roller skating. Safety protection is our primary concern and we will continue to provide the best products for our customers. 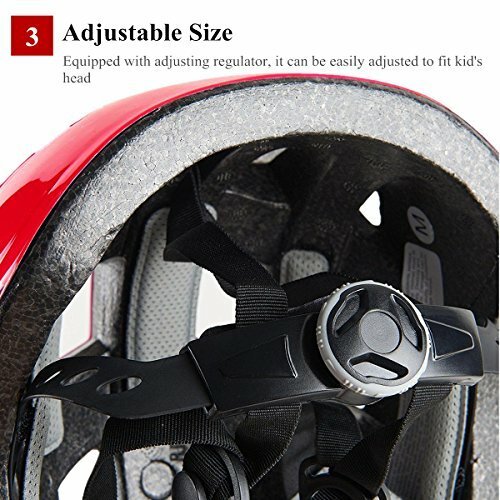 These skate helmets has fully adjustable regulator keeps the helmet fit for them perfectly. Adjust the strap and side buckle when feeling too tight or too loose, and they can wear it comfortably. 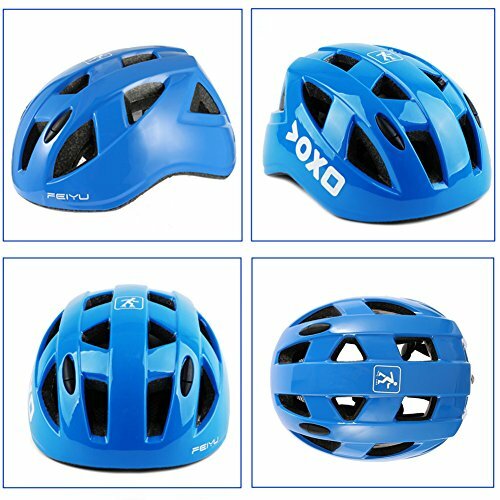 This helmet is the anti-shock function, and we understand how important people value the quality of helmets for the Sport Safety. That’s why our skate helmets use the quality hard shell, tough and durable PVC & PC and EPS foam to protect the head from direct impact and absorb the impact at a reasonable level. The 14 air vents let air go through the skateboarding helmet,the breathable EPS foam would reduce sweating during hot days. This feature would help reducing the temperature and keep stay cool when performing intense body movements. 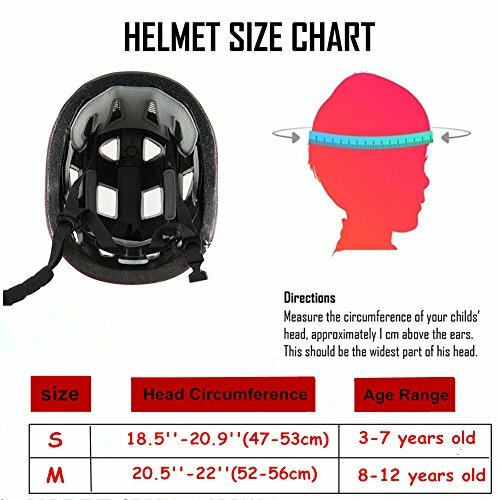 Super lightweight 200g(7 OZ) ,bring the head light riding experience;and the helmet liner use Velcro adhesive ,can be removable and washable. 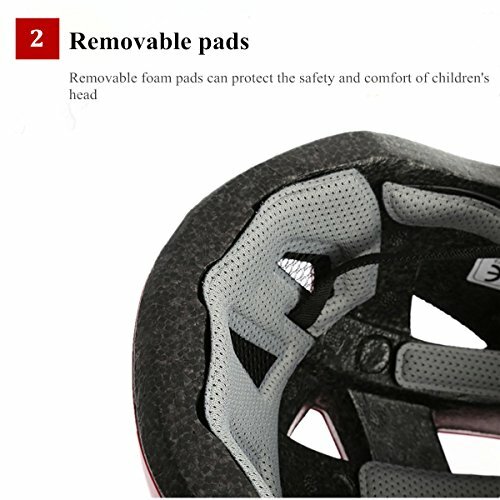 Attention: Don’t go skating, biking or any sporting without adequate protection, especially for children safety protectionIMPACT RESISTANCE:These bike helmets are specially designed for Kids / Child Multi-sports Head protection. Tough and durable PVC & PC, EPS foam which would help absorb the impact and protect the head during impact. 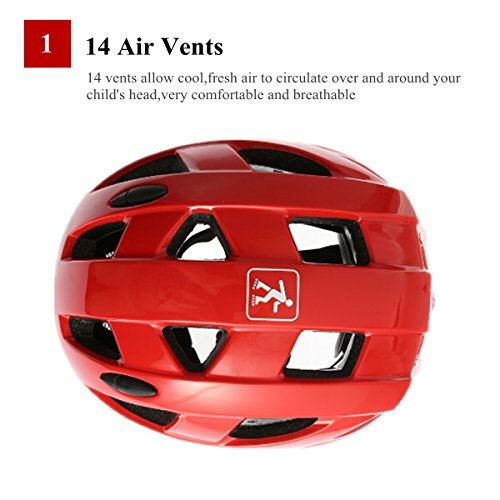 COOL and COMFORTABLE:14 air vent let air go through the skateboarding helmet;Super lightweight 200g(7 OZ) ,bring the head light riding experience;and the helmet liner use Velcro adhesive ,can be removable and washable. 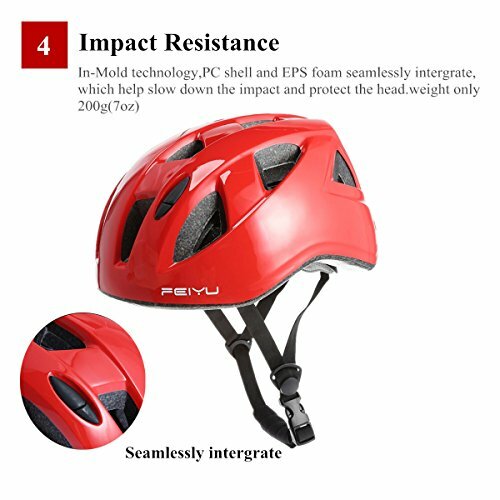 ADJUSTABLE SIZE:These Cycling helmets come with adjustable regulator and strap which make it flexible to fit the size of Kids / Child. Size S:47-53 cm（18.5”-20.8”),suitable for 3-7 years old;Size M:52-56 cm（20.5”-22”),suitable for 8-12 years old. 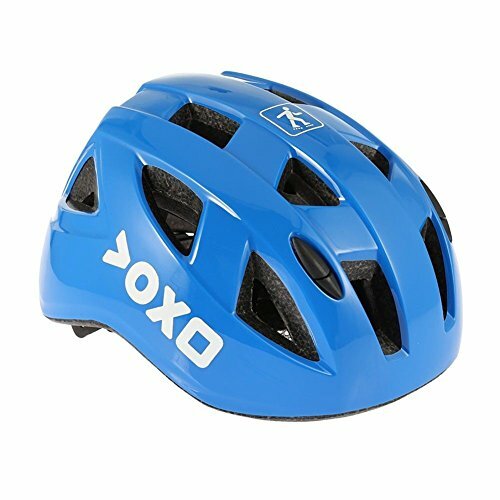 MULTI-SPORTING GEAR:These Kids Bike Helmets are flexible and suitable for Multi-sports activities, include cycling, skateboarding, scootering, inline & roller skating. 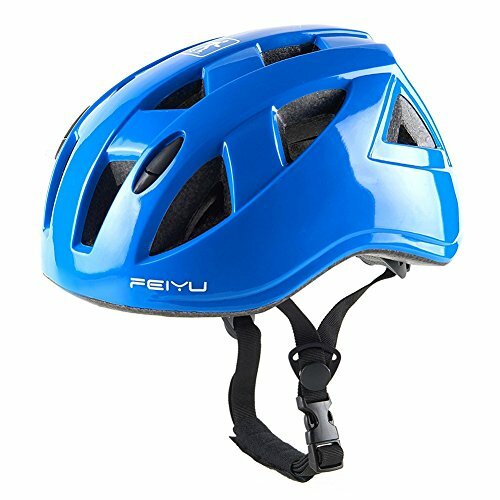 These helmets would be the essential protective gear for any outdoor sports-lovers. GOOD AFTER-SALES SERVICE:We devote ourselves to provide the best customer service and bring the best shopping experience to every customer. If you are not satisfied with our product, please contact us and we can offer a full refund. No questions asked!